decrease of 16.3% from the same period in 2017. 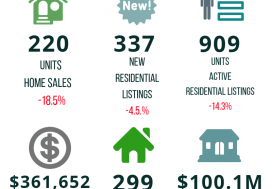 New residential listings in the region numbered 300 units in October 2018. This was a decrease of 17.6% on a year-over-year basis. Overall supply has been running at record-lows this year. 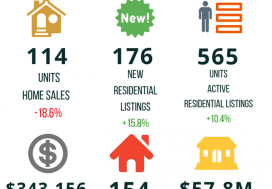 Active residential listings numbered 786 units at the end of October. This was a decrease of 17.1% from the end of October 2017. 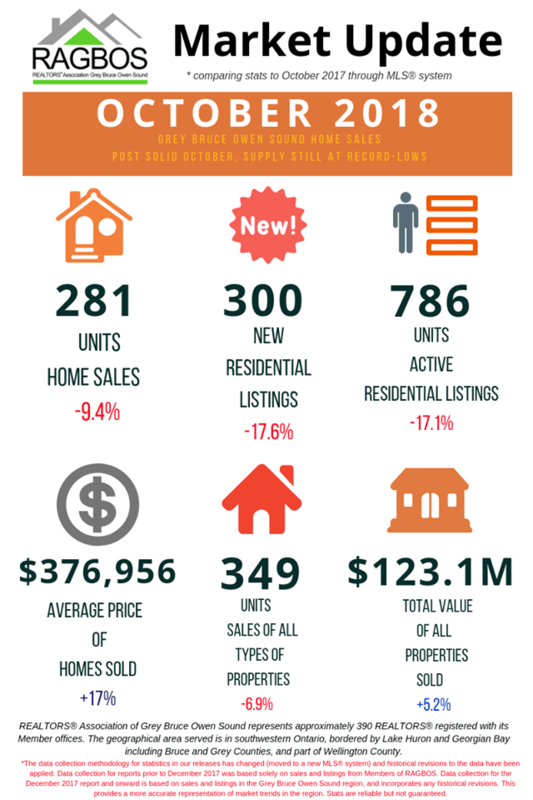 The long-run average for this time of the year is more than 1,700 listings. 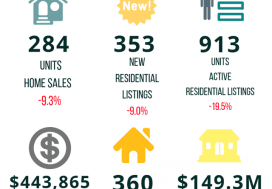 Months of inventory numbered a record-low 2.8 at the end of October 2018, down from the 3.1 months recorded at the end of October 2017 and well below the long-run average of 9.6 months for this time of year. The number of months of inventory is the number of months it would take to sell current inventories at the current rate of sales activity.